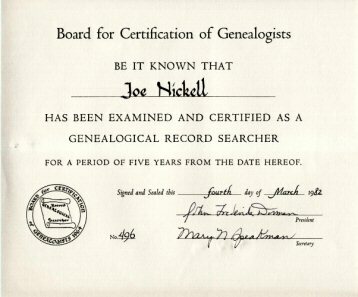 For fifteen years (1982-1997) I did genealogical research for clients as a CGRS - a Certified Genealogical Records Specialist. 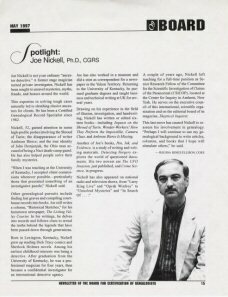 I was profiled as such -- "not your ordinary 'ancestor detective'" -- by the publication of the Board for Certification of Genealogists, May 1997. 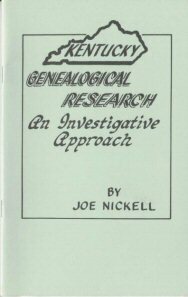 I also wrote the booklet pictured, Kentucky Genealogical Research: An Investigative Approach (1993), which text originally appeared in the Filson Club History Quarterly (July 1992).